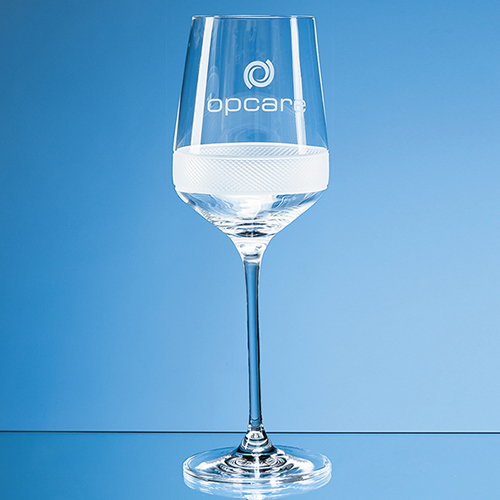 This sophisticated, long stemmed 450ml, contemporary crystallite goblet has an intricate diamond cut pattern and matt finish around the bowl. This leaves a generous space to engrave a logo, crest, dedication or inscription above, making it ideal as a personal or corporate gift or memento. Available as an option is a beautiful presentation box with blue satin lining.